The television series “Mad Men,” gave American viewers a chance to experience the glitzy high-life of one of Madison Avenue’s greatest treasures – the fictional advertising agency known as Sterling Cooper Draper. 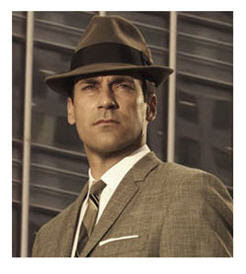 “Mad Men” not only gave us a taste exquisite pedigreed men and women, along with their elevated style and exaggerated sense of cultivation, but it also gave us the specimen known as Don Draper. Perhaps the Jack Bauer of his time. However, missing from this list of gifts is the perception and context that the “Mad Men” series allowed America to better understand workplace realities in our own time. Observing the different dimensions of life inside the workplace was one of the fascinating parts of the show. Though some can argue that there hasn’t been much change in the differences between top salaried executives and the hourly paid workers, the typical work experience for the latter has undergone quite a transformation in the last several decades. As many commentators have stated, the main firm of the show was indeed progressive given their time period. Yet others note the show’s conservativeness in light of today’s general workplace practices. They often point to the portrayal of women and minorities in the show as examples. Many “Mad Men” watchers were enthralled with the positive side of what the show highlighted. Yet there are many things that were not highlighted that are of great importance in understanding how our society and its relationship to the workplace have progressed. For instance, we now live in an age of universal health care, competitive workplace leave programs and generous unemployment benefits. We also exist in a society where diversity is greatly championed all the way from industry titans to industry startups. Though the fictional firm had certain aspects of these benefits, the strain under which employees endured to access these benefits, made them hardly worth the effort. “Mad Men” also gave viewers from a younger generation the chance to witness the struggle and complexity for Northern liberals with race-relations in their personal lives, and within the office. Throughout the series, we witness the firm’s first African-American secretary as well as the social pangs that employees within interracial relationships underwent in their quest for love, acceptance and performance under pressure. Another interesting point is that some of the “rudimentary” ethical rules that we take for granted were part of the normal routine within the show. In many public organizations, personal relationships with subordinates are either discouraged or are expected to be handled with extreme care (perhaps with formal disclosure statements). The many disgruntled secretaries that came and left Don Draper’s desk, provide us with reason enough to understand the impact that such relationships have upon the individual and the company. The show also illuminated the varying levels of complex relationships that executives manage on a daily basis. Officials, in particularly those in the public arena, can empathize with this reality. These relationships included immediate family members, other executives, subordinates and colleagues, industry rivals, clients, etc. Highlighting the importance of this intricate connection between people and performance helped viewers understand that the way these relationships are managed, significantly impacts one’s effectiveness on the job and in other life capacities. Image and perception, key components of the show’s cast of cosmopolitan socialites, are also necessary for public administrators seeking to gain the public’s trust and the confidence of those charged with providing oversight. During the show, relationship development with clients was portrayed as one of the agency’s primary building blocks. The relationship that public organizations must have with their own clients and set of regulators is also one that is built over time through cooperation, honesty and experience. The “Mad Men” series leaves the public eye in the same fashion in which it came – very boldly. The rich and grandiose way in which it captured the public imagination gave viewers much reflection. In the midst of all of the fashionable style and unforgettable characters, and the world of high society to which it transported many of us, also gave viewers an opportunity to reflect on the role of the workplace in society and how its transformation helped society in its own transformational process. Strong societies have strong institutions. “Mad Men” helped America to appreciate the workplace not only as a place of business, but also as an institution where people learn to grow and invest in their talents, as better understand its role as a vehicle for societal change. Author: Antwain Leach, MPA, was previously employed as a congressional aide in the office of former Congressman Bart Gordon. He is the current president of the Center for Strategic Affairs and Public Diplomacy, a think tank that provides management consulting services. His scholarly research focuses on Congress and its relationship to the conduct and formation of U.S. foreign policy. You can reach Mr. Leach at [email protected].